With public opinion dropping day by day, Mayor Jameson tries to boost his image, sending the aptly named Anti-Spider-Squad on 24 Hour duty and scheduling appearances with major celebrities. But will his plans be derailed by the color-bending SPECTRUM? And also?Who are the SPIDER-GIRLS? And how will they turn Peter Parker's life upside down? 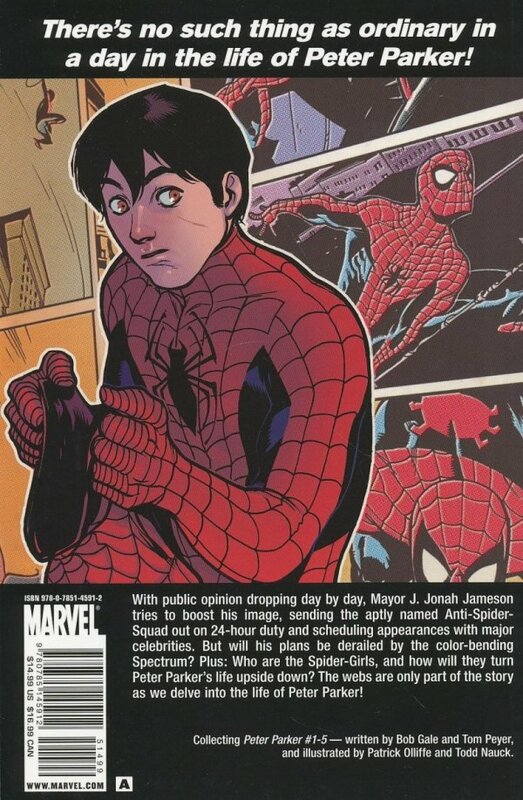 The webs are only part of the story as we delve into the life of PETER PARKER!